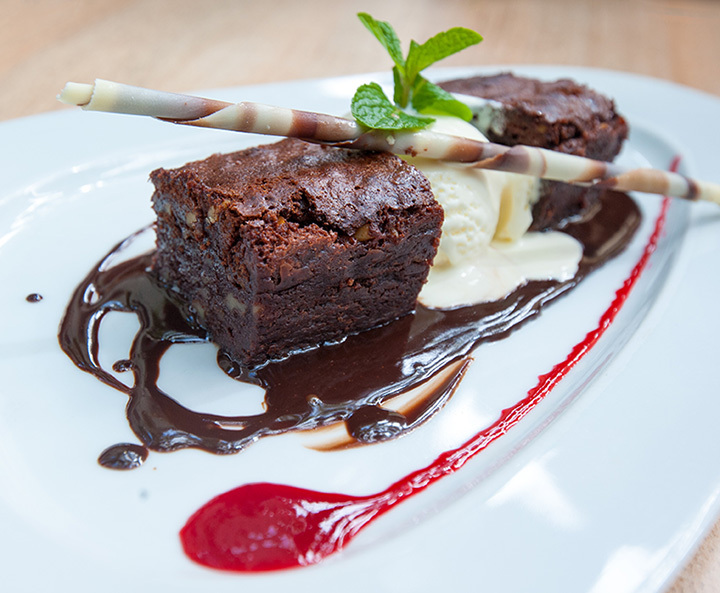 Are you among those who would rather have dessert than a main course? If so, you’re not alone. Sweet teeth abound in the U.S., and nowhere are they more alive and seeking dessert than in the state of North Carolina. The following places are the best for indulging in dessert in the Tar Heel State. Be sure to find your way to one—or maybe even two—the next time your sweet tooth is acting up! For a perfect, homemade dessert, visit Lucette Grace. Enjoy pie, cupcakes and a variety of delicate pastries with a latte or cappuccino—or take some to go. Your sweet tooth will be satisfied after a visit to this delightful café. Do you remember being a kid and sitting in a diner dreaming about the taste of the desserts you could see? Some spun in a rotating case, while others were in plain view of the counter, under glass domes? You’ll find exactly that at Hayes Barton Café & Dessertery. Choose from mile high pies, homemade cakes, cream puffs, fruit pies and more. If eating the wares of a French patisserie has long been a goal, visit Sunflower Baking Company in Charlotte. The delicate pastries will blow you away. Try a chocolate croissant, a homemade cupcake and more. Be sure to stay and enjoy at least a few bites, along with a cup of coffee or tea. The aromas from the baker’s kitchen will lift your spirits and warm your soul. Double D’s Coffee & Desserts is considered a landmark in Asheville. That’s because it’s actually a double decker bus. Climb aboard and enjoy a Warm Cookie Sundae or a piece of decadent cheesecake. The brownies and cookies are a nice quick dessert to take with you for later, too. At Kiss Me Cakes Bakery and Dessert Shop, you’ll find everything imaginable to curb your craving for sweets. Their Pound Cake and Key Lime Cake are local favorites. The bakery also features a number of gluten free and vegan desserts. Stay and eat at the bakery or take your desserts to go. The Peppered Cupcake is known for their decadent cupcakes. Enjoy a warm Apple Crisp Cupcake or a warm Smashed Bananas Foster Cupcake. If you don’t want yours warm, consider a Mango and Pineapple Pepper Jelly Cupcake. The pepper infusions lend a savory taste to some of the cupcakes, while others are temptingly sweet. If you’ve got a hankering for gourmet cheesecake, you’ll find several options at Sherry’s Signature Cheesecakes. There are more than 50 varieties on the menu. If you have a particular one in mind, be sure to call ahead to reserve. Enjoy a slice at Sherry’s or take an entire cheesecake to enjoy at home. These are excellent for the holidays! If you’re longing for a French tart with a cup of coffee or tea, be sure to check out Amelie’s French Bakery & Café. Enjoy Macarons, cakes, pies and more in a quaint and cozy atmosphere that is akin to European cafes. You’ll be saying “Oui, oui” to just about everything in the case before you leave. When dessert comes from Swanky Sweets Bake Shop, you can count on something mouthwatering and delicious. How about a Candied Maple Bourbon Bacon Cupcake? Order one of their artisan cakes for a special occasion. Nibble on their homemade, decorated cookies any time of year. Bring a half dozen decadent cupcakes home for your family when you leave.